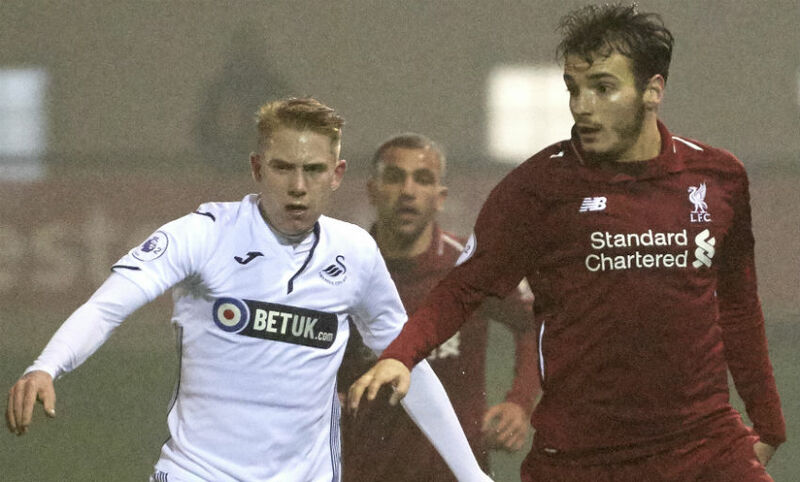 Liverpool U23s kept their hopes of reaching the quarter-finals of the Premier League International Cup alive with a 2-0 win over Swansea City. 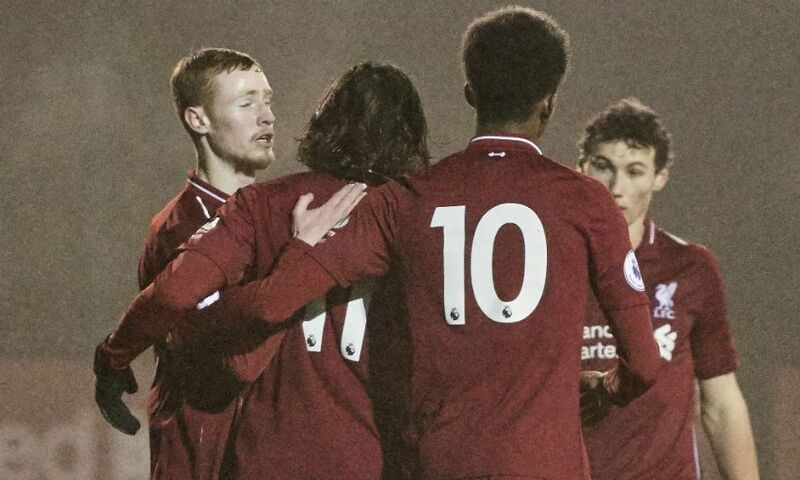 Goals by Lazar Markovic and Glen McAuley decided a tight contest at the Academy on Thursday night, with victory meaning Neil Critchley’s side finish Group E with six points and in second place behind Villarreal. Only the two best runners-up will join the six pool winners in the last eight, however, meaning the young Reds must wait until next week - when the final group-stage fixtures are scheduled to take place - to find out if their International Cup campaign will go on. Swansea’s Oliver Cooper spurned the game’s first opportunity by volleying Liam Cullen’s dangerous, drifting cross over the crossbar. But that narrow escape roused Liverpool, with Markovic and McAuley dovetailing well up top. Only a goalline clearance by Kees de Boer denied McAuley the opening goal after he’d latched on to Markovic’s pass and driven a low shot past Swansea goalkeeper Gregor Zabret, but the hosts did take the lead when roles were reversed between the front two in the 16th minute. This time McAuley was the provider, as his impressive hold-up play and throughball enabled his teammate to race clear and finish unerringly with the outside of his boot. The young Reds’ advantage was a slim one, though, and Conor Masterson’s alert, last-ditch sliding block was needed to prevent Cullen from slotting in Jordon Garrick’s cross around the half-hour mark. Another clearance off the line - after Zabret had misjudged Pedro Chirivella’s corner - then stopped Liverpool from making it 2-0, with Connor Randall and Matty Virtue also both missing the target with attempts from range as Critchley’s team finished the first period strongly. Shamal George spilled Cullen’s delivery in the early stages of the second half to give Botti Biabi a sight of goal, but the young Reds’ stopper atoned immediately by spreading himself to smother the visitors’ No.9’s subsequent shot. Biabi was again frustrated by George on the hour when his glancing header was clawed away brilliantly by Liverpool’s ‘keeper, who then tipped Adnan Maric’s long-range drive over as Swansea pushed for an equaliser. But, having absorbed a sustained spell of pressure, the young Reds made sure of the three points with a clinical counter-attack 13 minutes from time. An energetic burst from deep by Abdi Sharif preceded a superb cross from the full U23 debutant, and McAuley was waiting at the back post to nod in his side’s second goal. Liverpool: George, Randall, Masterson, Johnston, Whelan (Williams, 66), Juanma, Chirivella, Virtue (Christie-Davies, 66), Sharif, Markovic (Duncan, 78), McAuley.